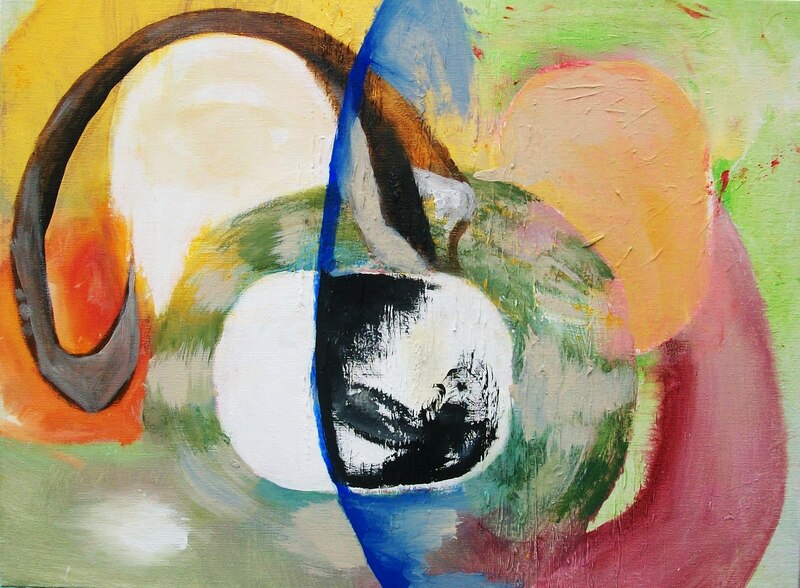 Bob Jones creates paintings that explore dynamic relationships of spontaneous form and color. He started painting in his early teens and spent many years studying abstract expressionism as well as art illustration. His paintings have been featured in many exhibitions including The Claremont Graduate School, Nickelodeon Studios, as well as numerous private collections. “For me, painting is essentially a form of extractive visualization-an instinctive response to a subconscious need”. Here are a series of recordings I made in 1995, recorded on 4 track cassette, composed, performed and engineered by me. Interested in owning a piece of Bob Jones art? Payment can be sent via the secure Paypal link and paintings can be shipped anywhere in the world. Art becomes a memory generating device - a completely irrational action. A strange non - delay punch into the unknown. But where one step begins, another follows - so the blooming occurs: buildings, animals, people, places, things - washing machine reality slams home and WHAM! You're on the other side, blinking on new ground. GIVE YOUR LIFE SIGNIFICANCE TO THE GOOD, BE IT CRAFT, ACTION OR PURPOSE.